On the evening of October 13th, Lingua Custodia was delighted to receive the 2016 Most Innovative Fintech of the Year award given by L’AGEFI at their AMtechDay. 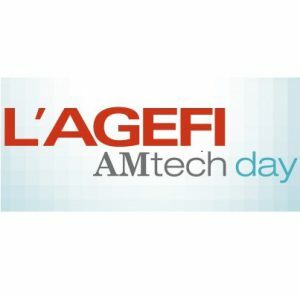 L’AGEFI AMtech Day is an annual meeting held for asset management professionals to come together to feature and focalise on the recent developments in the industry and their operational implications. After the day of round tables and discussions, L’AGEFI held their first annual AMtech Day awards for a number of categories. Lingua Custodia is very proud to be identified as the most innovative Fintech of the year and would like to use this opportunity to thank the early adopters of its innovative smart translation technologies who helped the company develop its solutions for a wide client audience: Sycomore Asset Management, AXA Group, AXA Investment Managers, Rothschild & Cie Gestion and CACEIS. We look forward to continuously providing a solution that meets your needs!